Our heavyweight Inkjet Photo Matte business card paper is created with a standard business card layout and is compatible with all major software. These inkjet matte business cards are our very own Desktop Publishing Supplies Brand, which means high quality at a great price! Our photo business card paper is made from an 8 1/2" x 11", 85lb (230 gsm) inkjet photo matte blank business card stock. 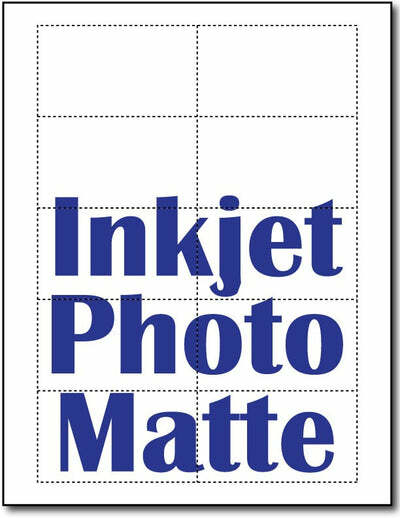 The photo quality inkjet matte finish is on both sides, making it printable on both sides. These Inkjet business cards are microperforated. Inkjet compatible only!